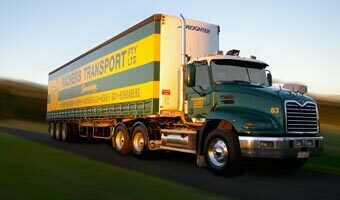 Richers Transport is a proud Queensland family owned company servicing the Australian eastern seaboard. 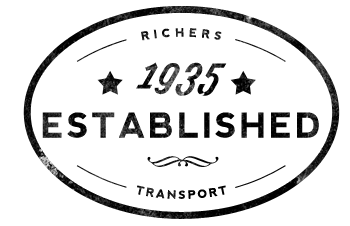 Since our inception in 1935 the company has grown and now established itself as a major provincial carrier. The second generation of the Richers family today proudly owns and operates the company. Graham Richers is the Managing Director. The future is strong with the third generation now working in the company. 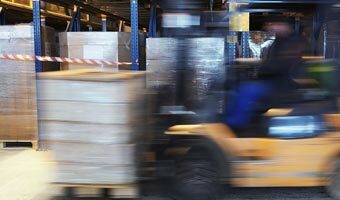 Travelling over 14 million kilometers annually, the Richers Transport fleet comprises over 350 units consisting of prime movers, flat tops, taut liners fork lifts and more. Richers Transport customer portal provides access to online bookings, account information and more, use your provided login to access now or contact Richers to set up your account. 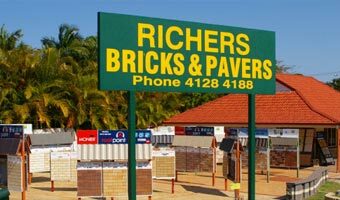 Richers Bricks & Pavers is your one stop shop, with locations in Bundaberg & Hervey Bay we have an extensive range from the best suppliers and experience for any masonry job. Need a quote or to book? Do it online now.